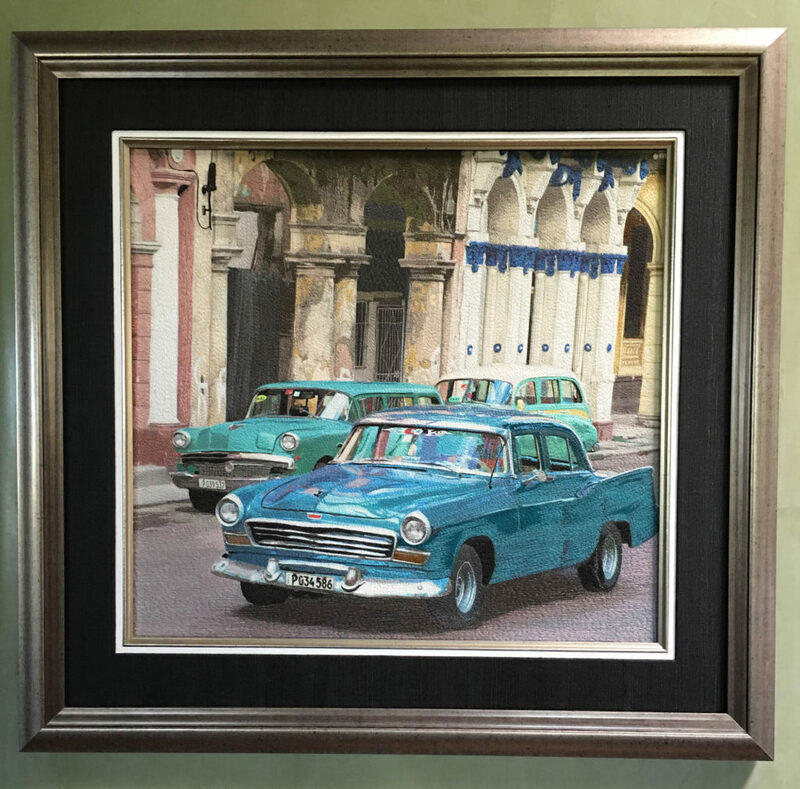 Cuban Car is based on a photograph that I took on the Prada in Havana, Cuba. I caught these cars as they sped by the architecturally wonderful buildings. Cuba is a treasure trove of Vintage cars. The one in the forefront is a Chevrolet Bel Air. This was a difficult piece of art to create because of the reflection in the windshield of the car. There are lots and lots of thread changes!